Lochiel Farm receives Conditional Use Approval - D.L. 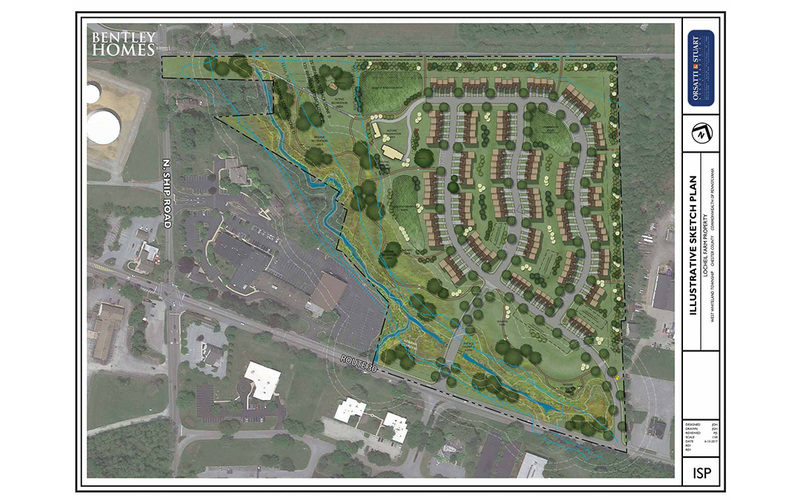 Howell and Associates, Inc.
Over the past several months, DL Howell worked closely with Bentley Homes’ team of consultants to obtain Conditional Use approval for a multi-family community near the intersection of Ship Road and Lincoln Highway in West Whiteland Township. The community, which is currently being called Lochiel Farm, will include 140 townhomes and the renovation of two existing historic single family homes all centrally located within 1 mile of Route 202, the Route 30 Bypass, and Exton shopping centers and local restaurants. Lochiel Farm will include amenities such as naturalized walking trails, picnic areas, and most importantly direct access to the very popular Chester Valley Trail. Through 2018, DL Howell will be working with traffic experts, McMahon and Associates and Landscape Architects and Land Planners, Orsatti and Stuart, to design this project and obtain approvals from PennDOT, West Whiteland, FEMA, Pennsylvania Department of Environmental Protection, and the Chester County Conservation District. Please visit BentleyHomes.com and DLHowell.com for updates as the project progresses into the Land Development approval phase.